ONE LOGIN FOR ALL YOUR DHL SHIPPING NEEDS. Get your easy-to-use, free online shipping and tracking services — all customized to your preferences on MyDHL. Ideal for any shipping needs — from occasional shippers, regular small and medium shippers or larger volume business to business shippers. No more multiple passwords - get quick and easy access to the full suite of solutions with one single login. Get tailored solutions for your needs and easily manage multiple users through a centralized profile management. 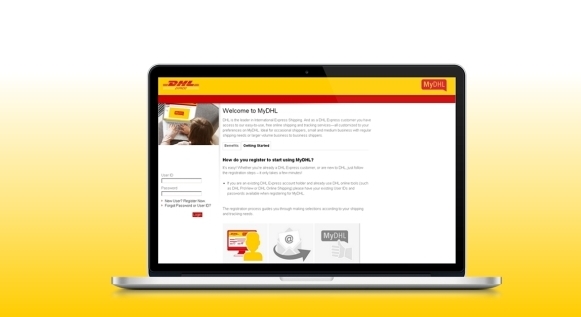 Once your MyDHL account is active, you are ready to ship online with just a few clicks. Quickly monitor all your shipments and setup easy and convenient reports and alerts.